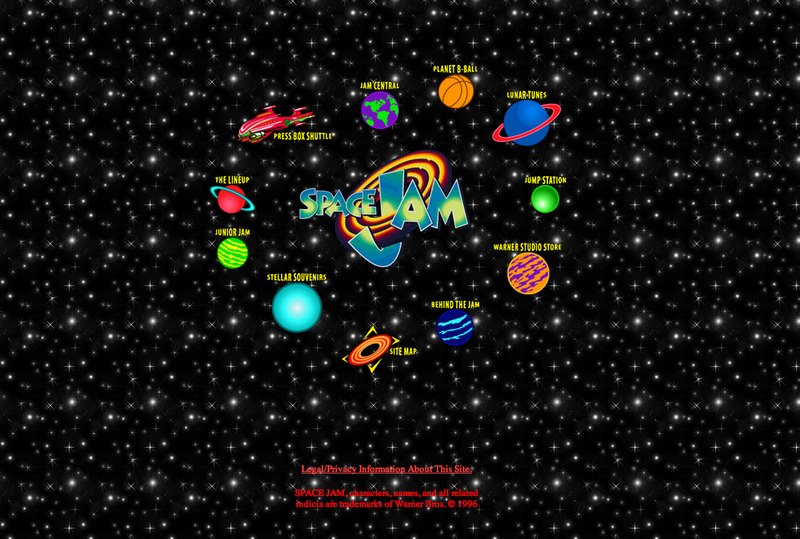 Get a healthy dose of nostalgia with these Seinfeld-era websites that time could not kill. Remember the 1990s? It was was a crazy time: Presidential candidates serenaded the nation with late-night-TV saxophone solos, a group of 20-something Friends tickled our collective funny bone, and the ditties of Limp Bizkit comforted America’s weary soul. 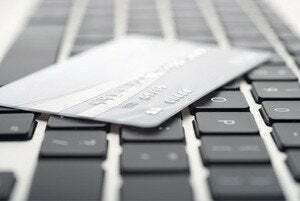 The 1990s were also when most of the public first encountered all the digital magic the “World Wide Web” had to offer. 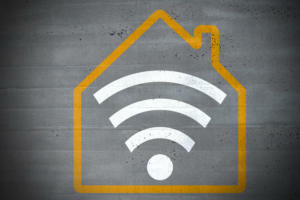 The Internet has been through a lot in the subsequent decades, but you can still visit a number of stubborn vestiges of these primordial days. 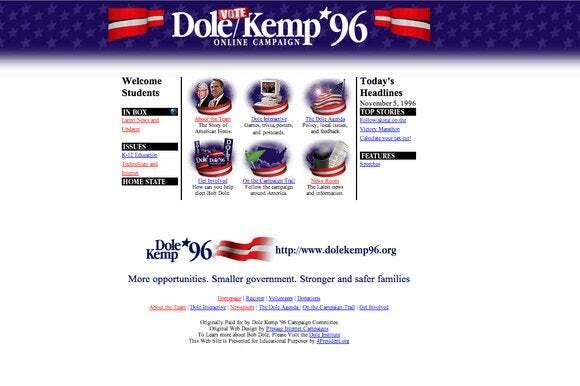 While there are any number of disposable personal and student websites still taking up bit space out there, we'll focus on still-functioning sites of that era created by major organizations that should have been able to clean up their digital mess by now. Back in 1998, a major Hollywood studio thought it would be a good idea to make a movie built around an AOL email notification. That sounded like a horrible idea to me, but the film went on to make over a quarter of a billion dollars. Which is why they don’t let me make movies. 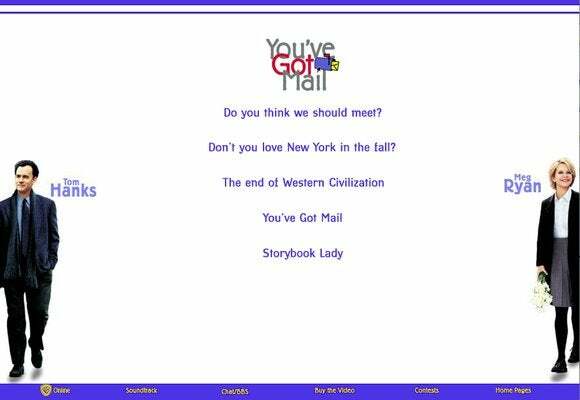 But perhaps some part of the film’s success is due to this minimalist site complete with character bios, Real Audio commentary from director Nora Ephron, and even a section where people recalled their own romantic adventures that were sparked over email! Ah, the innocent time of online romance before all those Craigslist murders. Unfortunately for the Red Team, this early example of http://-ness was unable to propel their team to victory. In fact, they kinda got squashed. But I don't think we can blame the site. Besides, it's not as if the Clinton-Gore ’96 site (archived here) was much better. 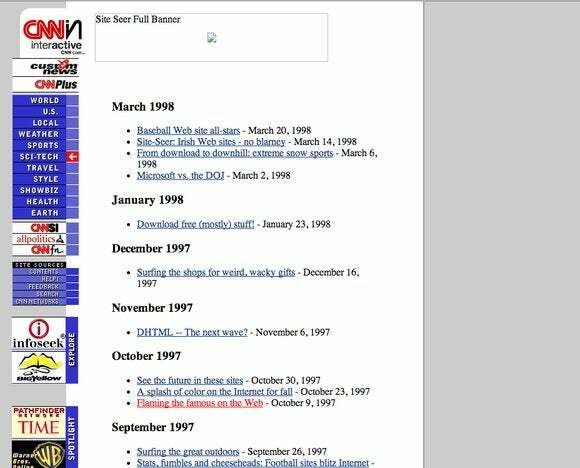 See all eight news stories that took place in 1996 courtesy of this relic timeline from WaPo. 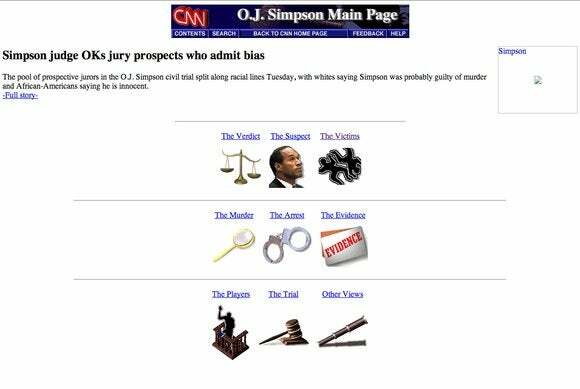 Most of the links on this 680-pixel-wide relic from 1997 won't work or will redirect you to parts of the current CNN.com ecosystem. 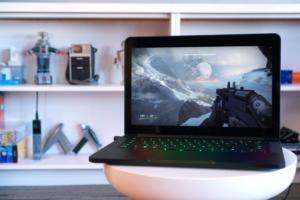 However, this list of articles chronicling the tech stories of the day is not only a fascinating glimpse into the history of technology, but of American culture. Here you can find a link to websites dedicated to making fun of celebrities (who would do such a thing?) and even new free email services that make their money from running ads (will that become a thing?). The article list goes as far back as a June 1996 post about gardeners trading advice on the Web. Just adorable! Space Jam’s promotional site is another movie site that Warner Brothers has allowed to linger well beyond its expiration date. The movie’s soundtrack is epic. Its 1996 website is not. 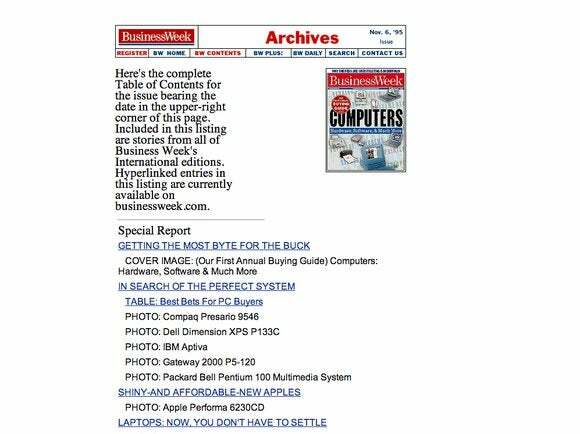 Here’s a leftover BusinessWeek ToC (Table of Contents) from the mid-’90s that happens to be its “Computer Buying Guide for the year. The editors were apparently quite taken with the Apple Performa 6230CD. 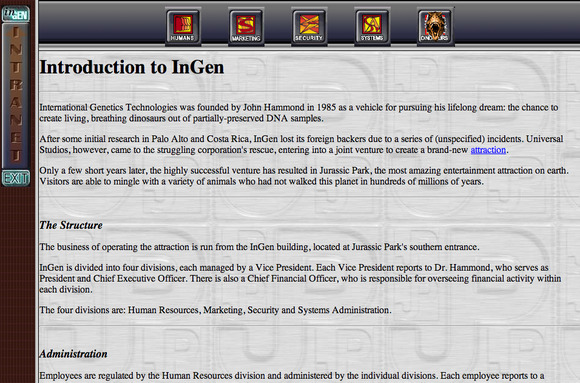 The marketing team behind this Jurassic Park sequel created a fake website for InGen—the movie’s advanced-genetics corporation that resurrected the dead dinos. While a visit to lost-world.com automatically forwards visitors to the Jurassic Park Blu-ray page, this InGen subsection has been left to run wild, much the way a T. rex ran wild through the streets of suburban San Diego in The Lost World. 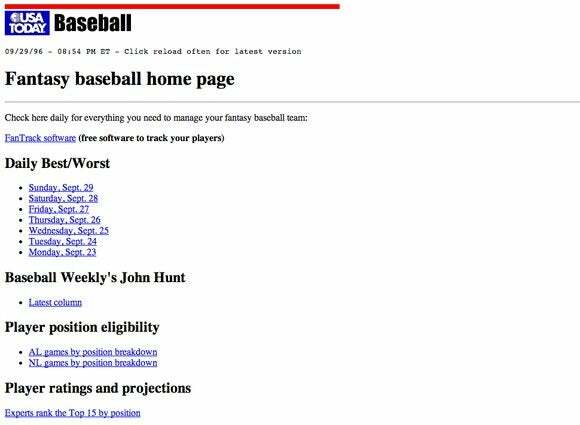 This fantasy baseball site from USA Today hasn’t been updated since the close of the 1996 regular season. For the record, the Orioles’ Brady Anderson ended the season with more than 50 home runs, “making him the second player in baseball, after Oakland’s Mark McGwire, to reach the total this season, and also breaking various laws of physics." But not the laws of chemistry, amiright? 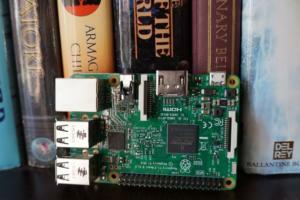 The HTML tech powering the sparse website for Darren Aronofsky's 1998 debut indie film, Pi, fit the film’s low-key, low-budget approach. As a result, it has aged rather well. 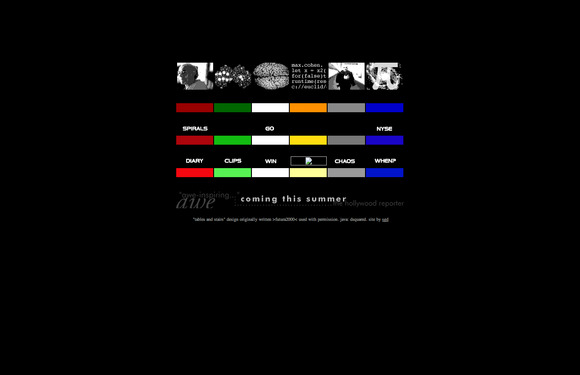 A slick, modern, HTML5 dynamic site would feel wrong. To its credit, CNN has always been on the cutting edge of technology (I recall that it was how I first heard about Twitter back in the day), which is why it has numerous entries in this list. To wit, here is the news organization’s official O. J. Simpson site utilizing that unmistakable mid-’90s Drudge Report aesthetic. This 1996 webpage from the U.S. Geological Survey provides all the information you could want about the 1994 Northridge earthquake in Southern California. A textbook example of properly organized HTML bullet points. 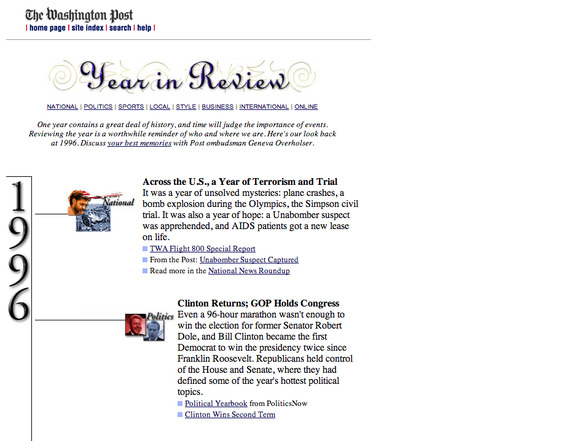 While the Washington Post’s year in review had only eight stories, CNN.com’s 1996 year in review was able to highlight ten full stories from that year. Back in 1999 Random House published the autobiography of action star Jackie Chan, appropriately titled I Am Jackie Chan. 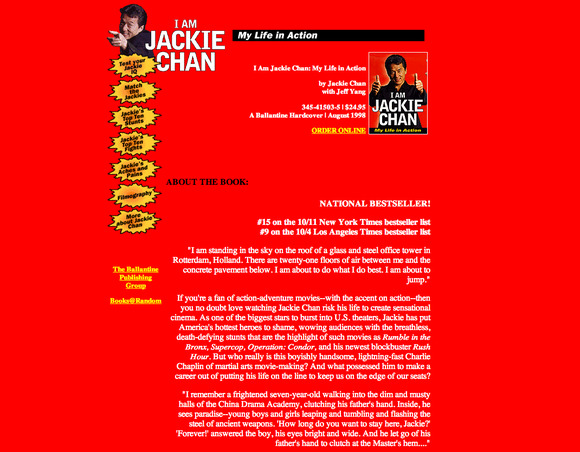 The promotional site for the book includes a Jackie Chan quiz, a Jackie Chan Filmography (which only goes up to 1972—you have to buy the book to read the rest), and a section that chronicles “Jackie’s Aches and Pains” (he dislocated his cheekbone while making Supercop). 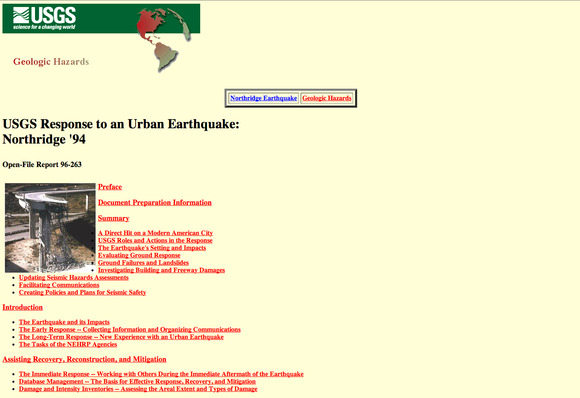 While we attempted to limit this list to 1990s sites from major organizations instead of dinky disposable personal sites, we couldn't quite ignore teenage Mark Zuckerberg's Angelfire site. Uncovered in April of last year, the site went viral and gave a taste of a future Web titan who really liked Eminem and didn’t have many female friends. 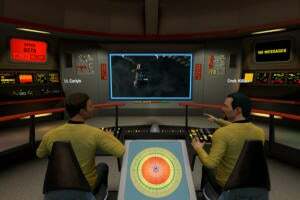 The site was mysteriously removed from the Internet at some point in the past few months—visitors are now greeted with a 404 error saying that the site has been “permanently removed.” But of course nothing on the Internet ever fully goes way! Be careful what you post online, kids!